Department of Homeland Security (DHS) Secretary Kirstjen Nielsen resigned from her position on Monday. She was reportedly forced from office after President Trump grew frustrated with the government’s inability to stop asylum seekers from arriving at the southern border. Her departure marked an extraordinary week in which most DHS leadership faced the chopping block. These shifts are widely viewed as White House advisor Stephen Miller tightening his grip on the agency. Acting Director of Immigration and Customs Enforcement (ICE) Ronald Vitiello will also be departing by the end of this week , following Trump’s announcement that he was withdrawing his nomination to be permanent head of the agency. Vitiello had already been approved by the Senate Homeland Security and Government Affairs Committee in November. However, the nomination ran into trouble when the union representing ICE agents opposed his confirmation on the grounds that he was not tough enough. Along with Nielsen and Vitiello, DHS Acting Deputy Secretary Claire Grady—by law next in line for the job of DHS secretary— was forced to resign . She was removed so Trump could appoint current Customs and Border Protection (CBP) Commissioner Kevin McAleenan to the position of acting secretary of Homeland Security. McAleenan’s temporary replacement will reportedly be John Sanders , currently CBP’s Chief Operating Officer. 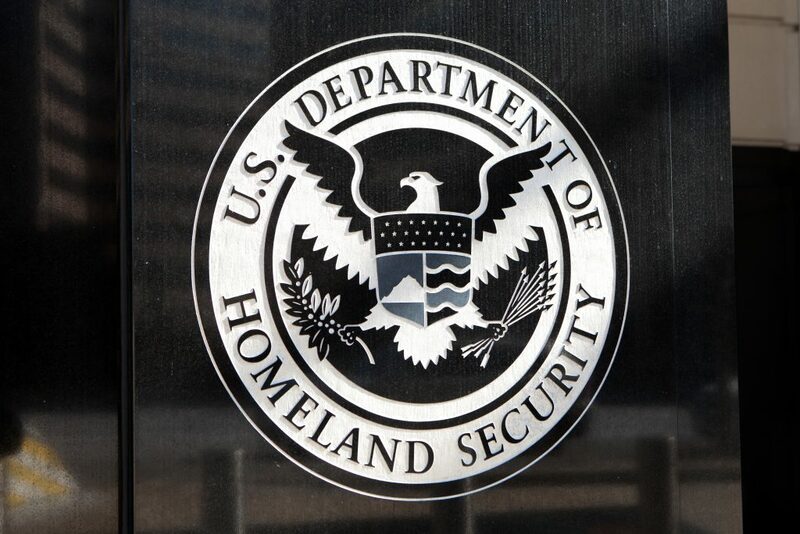 Two other high-level DHS officials—US Citizenship and Immigration Services (USCIS) Director L. Francis Cissna and DHS General Counsel John Mitnick—are also reportedly at risk of being fired. Reports indicate the White House is frustrated at both men’s refusal to make radical changes to the asylum system. Federal courts, however, would likely block the proposed changes. Many immigration restrictionists quickly came to the defense of Cissna, a man who removed the phrase “nation of immigrants” from the agency’s mission statement. Cissna has also been instrumental in shifting USCIS’ focus toward enforcement , instead of granting benefits. As of Tuesday, Cissna was denying claims that he would resign. If forced to leave, it would leave every DHS immigration agency without a Senate-confirmed head. As CBP’s McAleenan takes the helm at DHS, he faces significant pressure from President Trump to take strong measures to stop families and children arriving at the border. All of the administration’s previous attempts to deter, block, or limit the number of people arriving have largely failed or been blocked in court. Unlike Nielsen, who became the face of family separation at the border, McAleenan faces significantly less baggage. He has kept a low profile since being confirmed to head CBP in March 2018. He is widely viewed as a policy wonk , a man with decades of government experience who is willing to dig in on the issues to find solutions. Despite McAleenan’s tamer reputation, it’s unclear whether he will be able to curb the White House’s more extreme measures. Some reports indicate Nielsen was fired over her refusal to follow President Trump’s order to shut down the border in El Paso , Texas; presumably McAleenan will face similar pressures. Largely due to the chaos at DHS, the administration is making little headway in its efforts to convince Congress to authorize broader powers to crack down on migration at the border. On Tuesday night, the House cancelled an ICE appropriations hearing where Vitiello had been expected to testify, citing the leadership vacuum as a reason. Until DHS settles down and starts working on real policy solutions, it’s unlikely that anything will change at the border.